Think about every bully you can remember, whether from fiction or real life. What do they all have in common? For the most part, they don’t read — and if they do, they probably aren’t ingesting much literary fiction. More recently, Trends in Cognitive Sciences reported more findings that link reading and empathy, employing a test called “Mind of the Eyes” in which subjects viewed photographs of strangers’ eyes, describing what they believed that person was thinking or feeling (readers of fiction scored significantly higher). It turns out that the narrative aspect of fiction is key to this response. 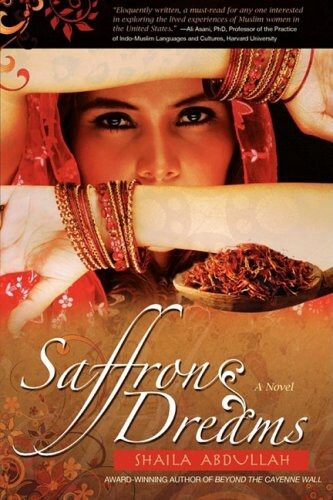 From the study: “participants who had read the fictional story Saffron Dreams by Shaila Abdullah … were found to have a reduced bias in the perception of Arab and Caucasian faces compared to control subjects who read a non-narrative passage.” More plot-driven genre fiction doesn’t seem to have the same effect. None of this will be terribly surprising to lifelong readers, for whom these empathy-enhancement adventures have always been part of the appeal. However, since reading is widely considered to be just another form of “entertainment,” the specifics of what we read are often considered to be just a matter of personal taste, from childhood onward. 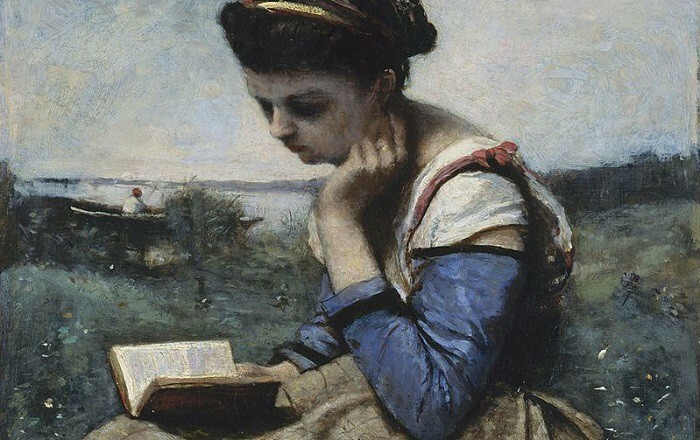 Literacy itself has proven key to a person’s ability to function in modern society, even if all one ends up consuming are tweets or news headlines; there has also been pushback from proponents of new media against those who are tilting at windmills (to draw a reference from literary fiction), hampering our civilization’s advancement by clinging to older forms of mass-communication. How will these conversations change if science can prove that certain reading experiences are crucial to the development of the human conscience? Applying these findings will be ultimately akin to sending everyone in America back to middle school, where our kids are traditionally exposed to mankind’s most essential life lessons. Difficult humanitarian issues like slavery and the Holocaust are first introduced through literature, laying a moral foundation for the more probing history curricula that will (hopefully) follow in high school. For example, the true value in The Diary of Anne Frank as a teaching tool isn’t in its description of historical events, but in the window it opens to another child’s fears and concerns for herself and her family as those events unfold. 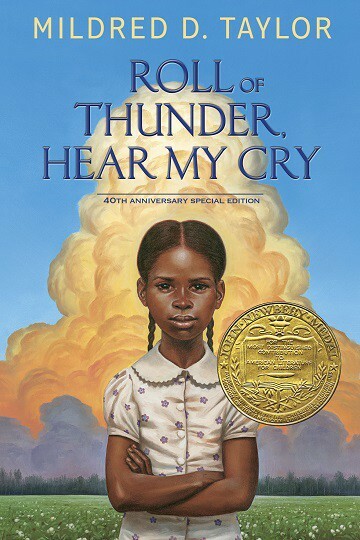 The Newbery-winning novel Roll of Thunder, Hear My Cry challenged kids to revisit gritty facts about racism from the South during the Great Depression, seen through the eyes of a nine-year-old girl — including a chapter where another character is tarred and feathered. Nor does an entire race or religious group have to be at stake for these lessons to pack a punch. 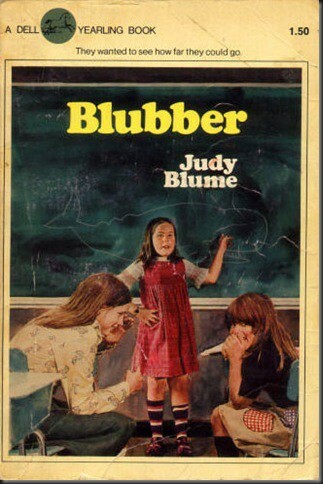 Despite the swirl of attention around the issue of bullying, and the requisite wave of books tackling the subject, it remains hard to improve on the lessons imparted by Judy Blume’s Blubber, a queasy masterpiece of social anxiety that debuted in 1974 — the same year as Stephen King’s Carrie, which spares readers from trying to figure out which book owes more to the other in terms of inspiration. Instead of going the obvious route and selecting a bullying victim as her protagonist, Blume tethers the perspective to a kid in the Mean Girl camp, one whose increasing discomfort with the treatment of a fellow classmate (cruelly nicknamed “Blubber”) ultimately causes estrangement and shifting allegiances in her own tightly-knit group of friends. By constructing the story this way, Blume plays to the ambiguities that a child might recognize from real life; instead of pushing an agenda of acceptance, she simply follows tyrannical and exclusionary behaviors to their natural conclusions. To readers, the way forward is clear. Mary Downing Hahn adopted the same strategy in 1983 with Daphne’s Book, a YA novel centered around a girl at the periphery of a clique of “popular” students. Her self-preservation instincts require her to fanatically avoid association with the shy, artistic outcast named Daphne (known to the other kids as “Daffy Duck”), so class anxieties abound when the two are paired for a school assignment. Hahn’s book goes one step further than Blume’s, exploring the kind of home environment that might contribute to another student’s awkwardness at school — in Daphne’s case, living in poverty in the custody of a mentally ill grandmother. Viewed from afar, Daphne remains a subject of pity and scorn; up close, she is worthy of compassion and even admiration. Magically, skillfully, the author urges young readers to question the impressions they form about each other based on the superficial contact they have with each other at school, or out in public. These are mind-expanding experiences for a young person, in which the sort of commonplace prejudices and moral blind spots they’ve encountered on the playground (or at home) are proven to become matters of life and death when writ large across society. Viewing events from someone else’s perspective, following along as they suffer, make mistakes, and are forced into hard decisions that affect others beyond themselves — these are already the core of literary education, but the new spate of scientific findings suggests we may not be working hard enough, or for long enough, toward instilling future generations with a profound appreciation for human life. This is also the time when young people are meant to develop a deeper appreciation for mankind’s relative place in the grand scheme of things, including our custodianship of the planet and our uneasy relationships with its other inhabitants. Shedding tears over the deaths in Fred Gipson’s Old Yeller or Marjorie Kinnan Rawlings’ The Yearling is an unforgettable rite of passage, one that hardly qualifies as mere “entertainment” and sets the stage for a lifetime of difficult questions about the hierarchy of social and familial obligations. 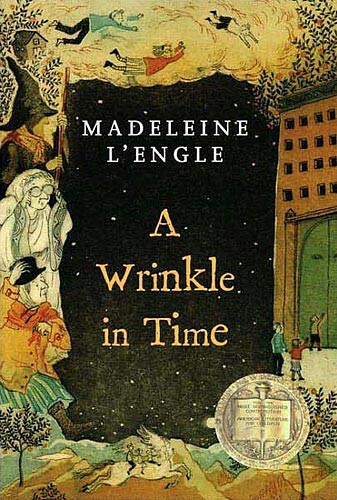 In classics like Madeleine L’Engle’s A Wrinkle in Time, these questions are expanded to include an entire universe of beings, with whom we may not even be advanced enough to communicate. But quite simply, if you don’t read the books, you don’t obtain these benefits. Having encountered few worlds outside your own, you won’t extend as much effort contemplating how other people (whether real, imaginary, or historical) experience reality, nor will you be as willing to believe their claims about that experience — although you’ll certainly expect them to believe yours. What’s more, this research suggests that if you don’t persist in reading literature into adulthood, anything you may have gleaned from walking in another person’s shoes may fade with time. This atrophy very likely results in that phenomenon we encounter so often in arguments about politics or urgent social issues, in which people assume they’re more compassionate and open-minded than they really are. This brings us back to the original question, the one about what all bullies have in common. Bullying behavior is not exclusive to ignorant people, but there may be more to the stereotype about getting picked on by the class dullard — or the grownup s/he becomes — than we may have ever realized. However, properly combating that issue forbids us from indulging in elitism. More than anything, these new scientific findings appear to underscore the importance of reaching these kids at all costs. There are myriad factors which may limit a child’s early reading experiences — developmental delays, home and environmental issues such as abuse and poverty. The organization First Book fights the latter by placing brand new books in the households of disadvantaged kids (from their website: “In some of the lowest-income neighborhoods in the country there is only one book available for every 300 children”). It doesn’t help that literary proficiency varies widely even among gifted students, and the de rigueur advancement of grade-levels through standardized testing guarantees that a great many of these children actually will be left behind, or made to feel that way, during a phase that’s key to the formation of identity. When it comes to adults, the outlook is harder to ascertain. Overall book readership is definitely down, though complex narrative storytelling is available in a wider range of forms than ever (such as TV and video games, both of which were shown to affect empathy test results). More Americans than ever are seeking a college education, and that will usually coincide with more exposure to literature. However, unless this cultivation of empathy becomes recognized for what it is and pursued as a lifelong interest — on par with physical fitness or mental health awareness in terms of personal hygiene, as well as a prerequisite for civic participation — the effects will gradually give way to the immediacy of one’s own firsthand experiences, weighted with the prejudices and confirmation bias that are bound to accumulate over time. Fiction can’t be our end-all tool for building empathy — there can be a real harm to filtering every single real-world event through a dramatic lens, spinning stories that suit our preferred narrative while ignoring input from those who lived it firsthand. Even so, particularly since the 20th century, fiction has provided a voice for people who would have otherwise been all too easy to ignore. When masterful storytelling aligns perfectly with a humanitarian payload, the effects will be felt around the world, transcending genre or political agenda. 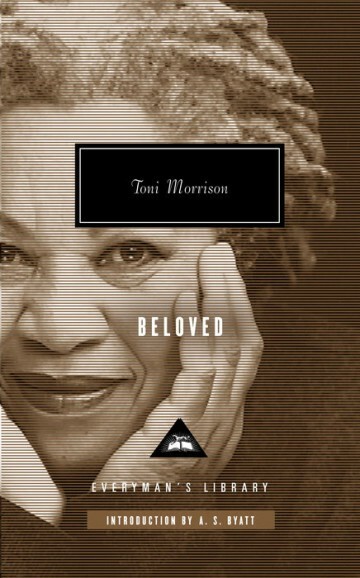 It’s no accident that decades after it was published, Toni Morrison’s juggernaut Pulitzer Prize-winning novel Beloved, which explores the personal, physical, and metaphysical effects of slavery, is still taught in university departments as various as History, Sociology, Women’s Studies, African American Studies, Religion… and yes, English Literature. While picking up a book will never be a replacement for face-to-face encounters with actual humans, in terms of beating back the apathy and entropy that persists (and even flourishes) under these unique 21st-century conditions, this avenue of scientific research must be taken quite seriously. Redundant as it may sound to anyone who has recently found themselves in contortions of profound emotional discomfort over a purely made-up scenario, this extremely old technology could prove to be the most powerful and readily abundant weapon we’ve got. Tom Blunt has been a producer and host of numerous entertainments in New York City, including a film-inspired variety show called “Meet The Lady” for the 92nd Street Y. He has written for sites such as The Awl and New York Magazine; his crackpot cinematic theories have been cited in The Guardian and IFC News.